Have the Dutch lost their touch this Valentine’s? 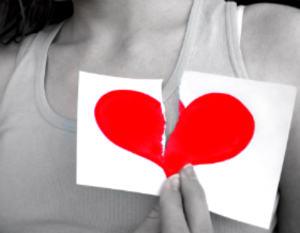 Dutch expats have shown less loving this year with a huge decrease of Valentine’s Day calls. Expats from Holland appear to be the least romantic this February 14th with an astonishing 82% drop in calls, according to the 2012 Valentine’s Day Holiday Calling Report by VIP Communications. A general opinion that Valentine’s Day is a mostly commercial holiday is believed to be the reason for the decline. Valentine’s Day appears to have lost popularity among expats from other countries as well. For Italian expats, this romantic day is ranked only the 10th most popular calling day of the year due to a decrease of 61% in call volume. Coincidentally, there is a lot of love to share by expats from the African continent as the top 10 of most increasing call volume this February 14th is dominated by expats from African nations. Furthermore, Swiss expats residing in the United States made the most calls on this specific day with an increase in call volume of 215 percent. The research showcases insights into the holiday calling habits of 50.000 expats from over 100 countries across the world. Are you an expat with a lover in another country? How are you keeping the flame burning while abroad? Please leave a comment. What do expats really think? I can relate to all the etntimenss expressed. As a trailing spouse In Japan since April 2011 I have experienced periods of exhilaration, periods of great loneliness and fantastic cultural experiences that will live with me forever.Today is a bad day I am not well, it is freezing cold , my partner is at work until late tonight and I have no friends here to have a friendly chat or lunch.. There are other expat wives here but they are rather snooty and have rejected me as my partner is employed in a lower ranked role to their partner.I consider this experience as living on an airforce base were wives, partners are also ranked according to their status on the base.Although I can see how shallow these women are, it is very difficult not speaking Japanese to at least be able to chat with shopkeepers or salespeople when venturing out shopping.There are women’s clubs or expat clubs, but again I have found that there is little by way of acceptance if you areperceived as somewhat lower down on the class scale, that is, different than others. I am Australian with a strong Aussie accent.My husbands employer offers nil support to spouses other than to advise that there are expat social clubs to join, they do not provide translators to assist spouses, there is no work here for me to apply for, and English volunteer rules are only available to those who are on committees of the expat social groups.I am counting the days until I can go home and start to live my own life again and not my husbands life.